A non-refundable 30% deposit is taken when booking, the balance will automatically be taken 70 days before the start of your stay. If the booking is made less than 70 days before the start date of your stay the full price of the stay will be taken. If the balance is not paid by the due date Re:treat Glamping reserves the right to re-let the lodge and retain the deposit. Your Booking is confirmed and a contract between you and us will exist when we receive payment of the deposit/full payment and send you a booking confirmation. This booking confirmation will normally be sent out within 48 hours in the case of email and seven working days in the case of post, and will contain the details of your Booking and of payments made and due. 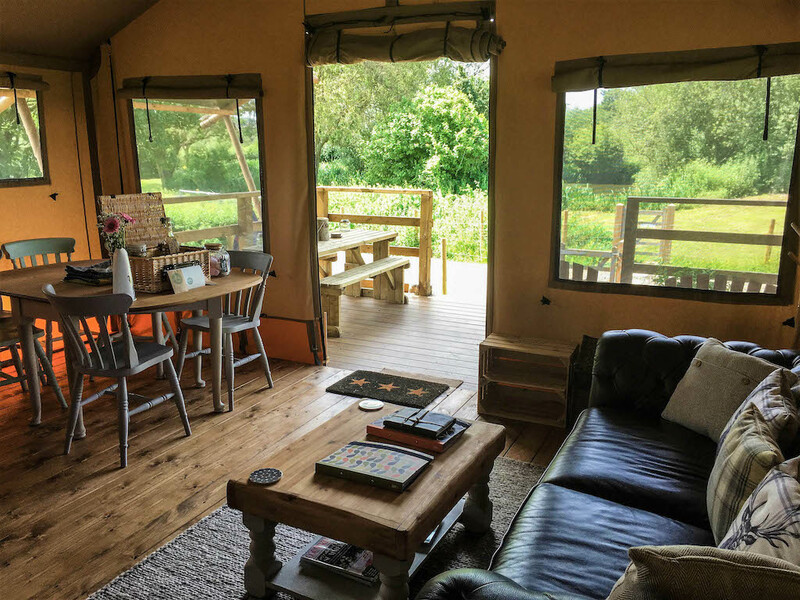 If you have not received your booking confirmation within the specified time, please notify us as soon as possible by email (retreatglamping@outlook.com). Please check your confirmation carefully and report any incorrect or incomplete information to us immediately. We’re sorry for any inconvenience, but payments via our online booking system can only be made by credit and debit cards. 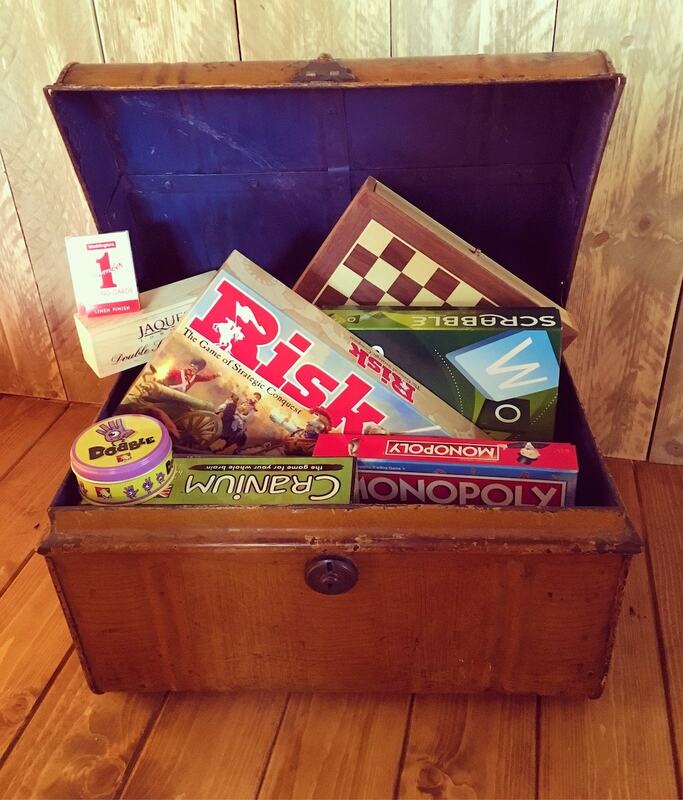 Re:treat Glamping only accepts bookings from persons over 18 years of age. We reserve the right, at all times, without statement of reasons, to refuse or cancel a booking. When you submit a booking via our online reservation system you will receive an automatically. The prices advertised are not binding; Re:treat Glamping reserves the right to modify these prices at any time. We also reserve the right to correct errors in both advertised and confirmed prices. At the time of booking you will be informed of the prices applicable. The price stated on the booking confirmation is binding. We ask that you arrive on your specified arrival date between 4 and 6pm. The field and access fields are unlit and car free and therefore very dark at nightfall. Unloading, unpacking, lighting your wood burning stove and getting settled is much easier in the daylight. It’s therefore important to please plan your journey to ensure you arrive during the daylight. We understand that with work and existing commitments this may be awkward so if you can’t arrive until after dark we suggest you come early the next morning instead. Please get in touch with us to discuss and arrange any special requirements prior to arrival. When you arrive you will be greeted and shown where to park your car. This is approximately 300 metres from your safari lodge. We will help you unload your luggage onto a garden trolley and walk with you to the safari lodge. Guests are requested to vacate their accommodation by 10.30am on the date of their departure. Please leave the safari tent as you found it on arrival; please return all furniture and fittings to their original positions and wash and tidy up. We also ask guests to strip their beds as it ensures that we don’t launder clean linen unnecessarily. Items purchased from our honesty shop must be paid for before departure please. Cancellation at any time will result in your deposit being forfeited as all deposits are non-refundable. If you cancel within 70 days of your arrival date we will endeavour to re-let your accommodation. If we are unable to do so, then we regret that we will be unable to refund any monies paid. Should you cancel prior to this date, we will refund any monies paid, less your deposit, or reschedule your stay for another date. An administration fee of £50 will be charged in this instance. We recommend that you have appropriate holiday insurance cover. In the unlikely event that we need to cancel your holiday we shall inform you as soon as possible and refund all monies paid to us by you, within 5 days of notifying you. 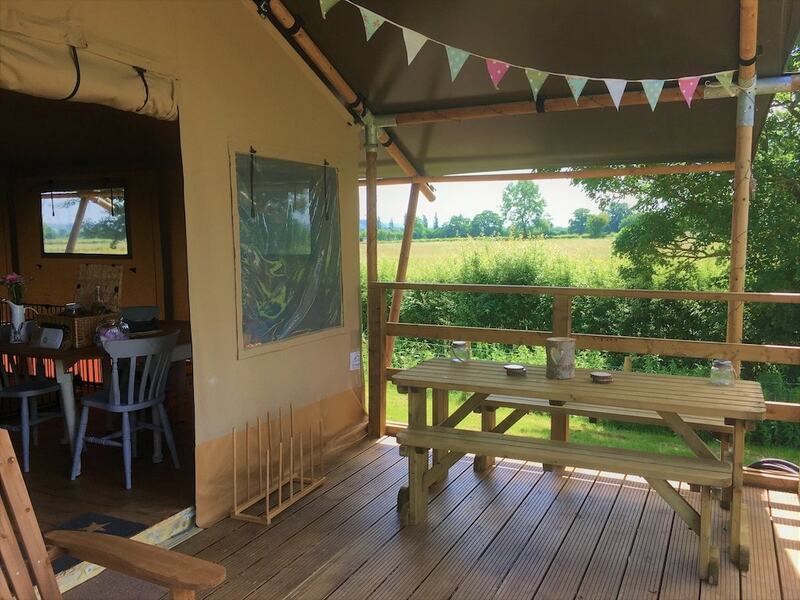 Due to its generous size, Re:treat Glamping can accommodate multiple parties such as two families or groups of friends who wish to spend quality time together. We do however ask you not to book for a group of 5 or more adults/single sec groups at any time without speaking to us first as we have strict noise policies to ensure that neighbours and wildlife are not disturbed. We ask that guests keep noise to a minimum after 10pm and before 8am in consideration of our neighbours. Please be aware that noise travels a long way in the countryside and can disturb our neighbours and our local wildlife. After 10.30pm the only sound that should be generally audible in the field is hooting owls and a low murmuring of our guests. 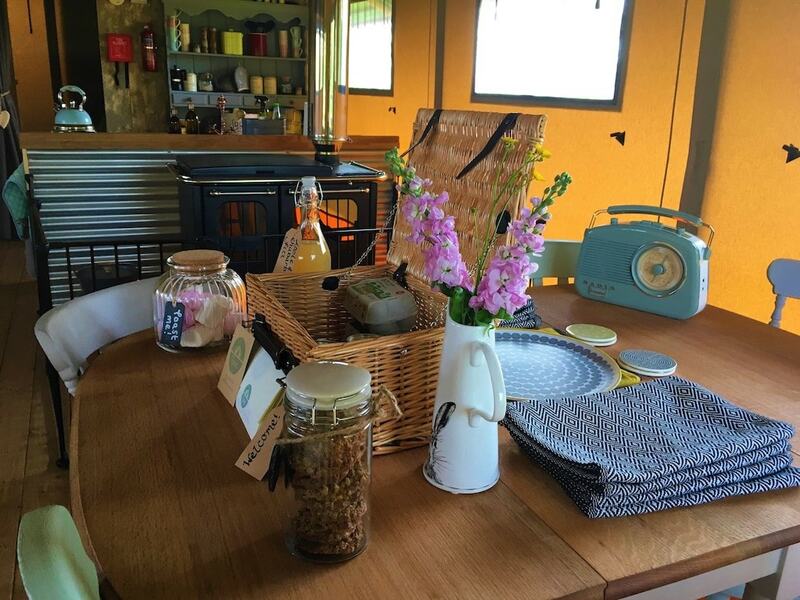 If you are wishing for a holiday where you can party until the early hours then a stay at Re:treat Glamping is probably not for you! In exceptional circumstances we reserve the right to ask your party to leave if there is repeated noise after having received two warnings and as you will have breached the terms of your contract with us, no refunds will be forthcoming. Re:treat Glamping is a non-smoking site. Smoking is not permitted at any time in or around the accommodation or on the smallholding. We appreciate you respecting this important rule. 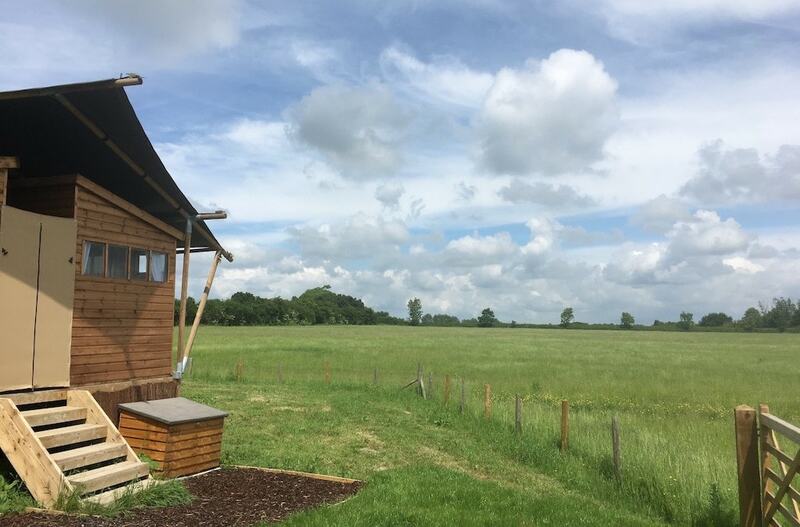 We regret that we are unable to accommodate dogs and pets at Re:treat Glamping due to the proximity of neighbouring farmland and occasional grazing livestock. We provide you with an initial supply of wood and kindling for your stay. Further packs can be purchased from the honesty box next to your lodge. Charcoal for the BBQ is also available for you to purchase from the honesty box. Please also feel free to bring your own charcoal if you prefer. A fire pit is available for hire. We ask that you place the fire pit on the ground and well away from the canvas of the lodge or any other combustibles. No other campfires are permitted. You will be staying on a smallholding with occasional grazing animals, potentially dangerous farm equipment and deep ponds amongst other hazards and it is your responsibility to watch your children at all times. By booking and coming to Re:treat Glamping you agree to be responsible for your children, any children you are in charge of, and your own welfare; and to take all reasonable precautions against personal injury, injury to others and damage to facilities and the safari lodge. Children must be supervised at all times. Please be aware that some of the guest equipment, including the barbecues and wood burning stoves can be dangerous if misused. We will show you how everything works when you arrive and we’re always available during your stay if you need our help. If you notice any equipment looks faulty/unsafe please notify us as soon as possible. The safari lodge is set in farmland, the terrain and surrounding terrain can be uneven and has rabbit holes. Please ensure all of your group wears suitable footwear. The hedges and fences may have barbed or electric wire around them, please do not climb on them. The occasional grazing animals on the neighbouring fields are not tame pets, do not approach them, feed them or attempt to stroke them. If you do touch an animal please wash your hands with soap and water immediately afterwards. 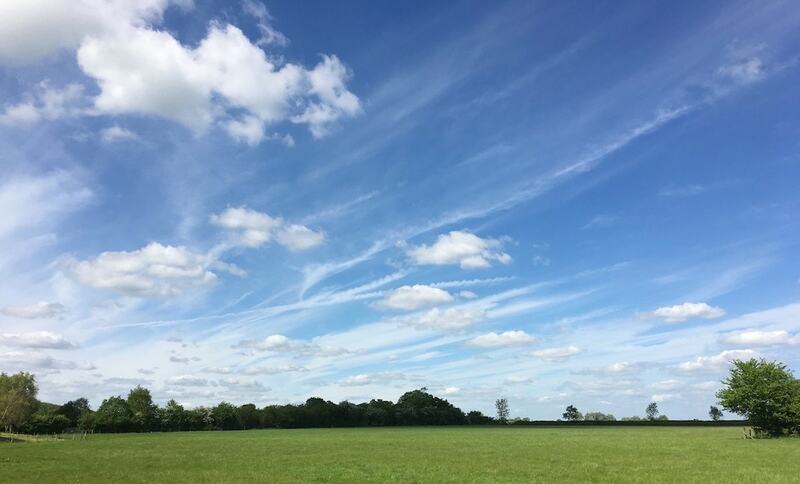 Please do not wander through any gates on the neighbouring farmland – We will advise you of accessible areas on your arrival. We will also advise you of which fields are cut seasonally for hay. During these times farm machinery will be in use in these fields. 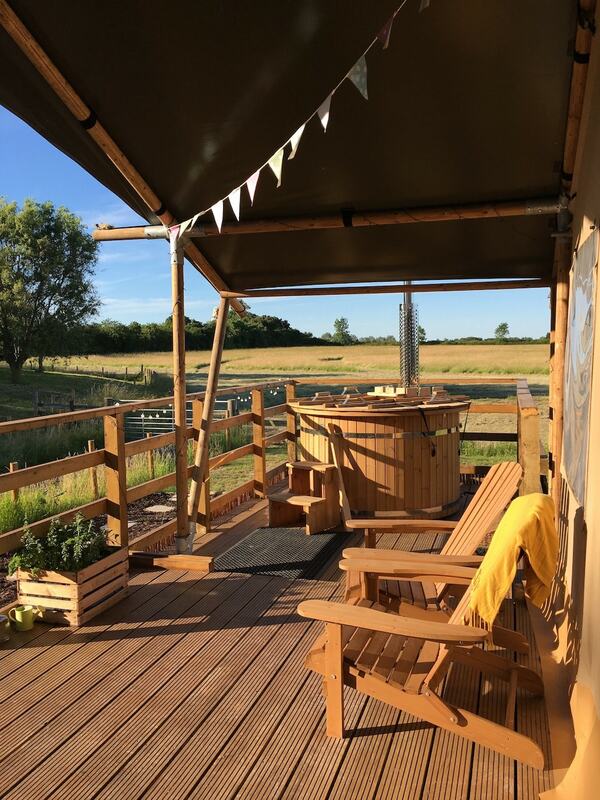 Use of any facilities at Re:treat Glamping, and any exploration of the smallholding and its lands, is the responsibility of the Guest and/or Visitor and is done so at their own risk. Whilst we take great care to keep you safe, accidents can happen and Re:treat Glamping are not held responsible for such accidents (to the greatest extent permitted by law). When the wind is in the wrong direction some low-level road noise can be heard from the A6. 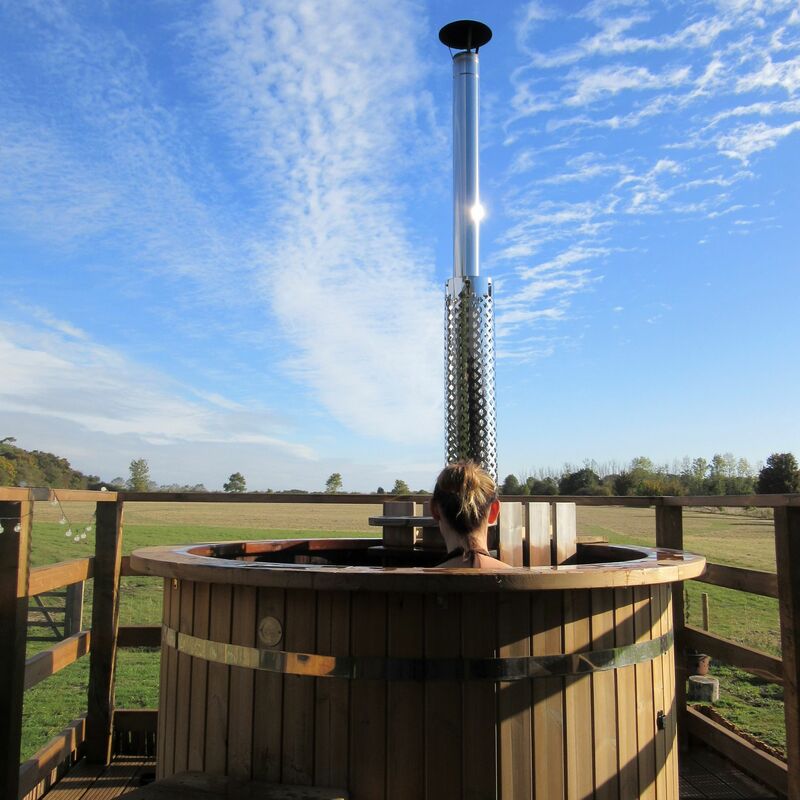 Whilst evident on occasion, we do not feel this should detract from the beautiful location, facilities and experience of glamping. 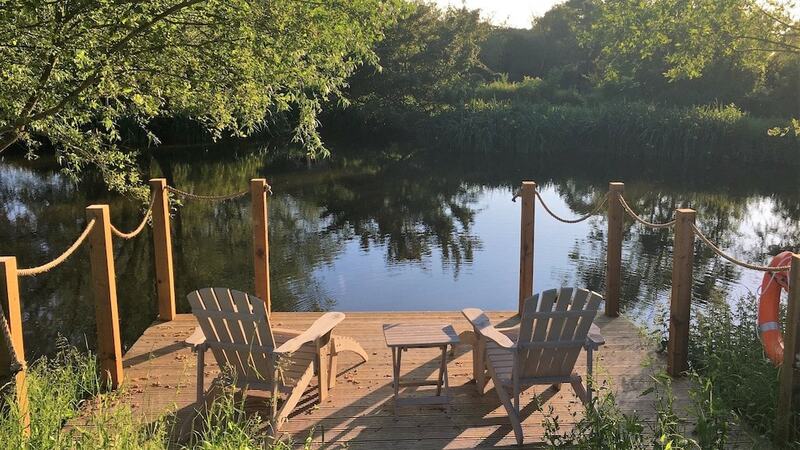 Please also be aware that whilst the glamping site has low-level fencing around it, there is an adjacent deep pond. The tenant and those who accompany him or her are jointly and severally responsible for all loss and/or damage which arises for Re:treat Glamping and/or any third party as a direct or an indirect consequence of their stay, irrespective of whether this was caused through actions or refraining from actions by themselves or by third parties who are at Re:treat Glamping through their making. Re:treat Glamping may have additional guest conditions from time to time which must be observed which you and your party undertake to comply with. Guests undertake to behave in a proper, appropriate and legal manner with due respect to the Owner, the Property and their property. If any guest behaves inappropriately or improperly (of which the Owner will be the final judge on their Property), or illegally, the Owner reserves the right to ask the guest and their party (at their discretion) to leave the Property before the end of the holiday period. Any refund for so doing will be at the entire discretion of the Owner. In addition, the Owner reserves the right to sue the guest for any loss, damage or injury caused to the Owner, the Property or to other guests and/or their property. A refundable damage deposit of £50 will be taken at the point of booking in case of any breakages, damages, noise complaints, if excessive cleaning is required after your stay, or if a bill is not settled in the honesty shop. Providing there are no instances of the above we return your damages deposit within 48 hours of your departure. Please leave your accommodation tidy (as per departure information) and let us know if anything gets broken or lost so that we can replace it for our next guests. We will only charge for replacements in exceptional circumstances, as we expect a degree of wear and tear. If major damage is directly attributable to a guest, then we reserve the right to request payment to cover replacement. If any deep cleaning is required after you check out then we reserve the right to charge for this work. Re:treat Glamping reserves the right to deduct this payment from your security deposit or invoice guests following their stay. These terms and conditions have been drafted in accordance with and are governed by English law and the courts of England and Wales have exclusive jurisdiction in relation to any and all disputes arising out of these Terms & Conditions. In case of a discrepancy between these Terms & Conditions and any other Re:treat Glamping literature, these Terms & Conditions shall prevail.